A Shrewsbury Town fans' group has launched a crowdfunding campaign to raise £75,000 in order to install 550 rail seats at their New Meadow ground. 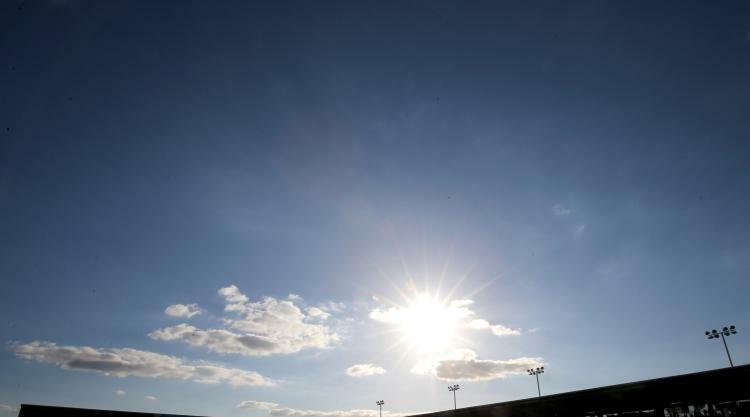 If successful, the Sky Bet League One club will become the first in England or Wales to bring a safe-standing section back to an all-seater ground. Shrewsbury first revealed their interest in safe-standing at the end of June and Tuesday's initiative comes a day after Liverpool fans voted overwhelmingly in favour of bringing rail seats to Anfield. That vote, which was conducted by supporters' group Spirit of Shankly, has added momentum to a campaign that has been gathering pace for a decade, as Liverpool have been understandably cautious about anything that resembles a return to the terraces of the past. Football grounds in the top two divisions have been all-seater by law ever since Lord Justice Taylor's report into the 1989 Hillsborough disaster, which left 96 Liverpool fans dead. Feelings on Merseyside, however, are now more in step with supporters elsewhere, as nearly nine in 10 fans who took part in the week-long poll backed the idea of rail seats, which are popular in Germany and have been successfully trialled by Celtic. At the launch of the plan, Shrewsbury's chief executive Brian Caldwell said: "Although the stadium is an all-seater at present, it is not required to be so by law. "We were therefore able to utilise a process recently put in place by the Sports Ground Safety Authority to enable EFL clubs not subject to the all-seater legislation to apply for consent to install rail seating as safe-standing accommodation." Rail seats are flipped up and locked in place when fans are using them as standing areas, and there is a safety barrier that separates each row to prevent surges. To help with crowd control, fans are assigned a space that corresponds to the seat number. The crowdfunding site, which can be found at www.tifosy.com/shrews, is the idea of the Shrewsbury Town Supporters Parliament and its joint chair Roger Groves explained the appeal of rail seats at the launch. "Being able to stand in a proper standing area is something that many of our fans have missed in the 10 years since we moved from Gay Meadow, where over half the crowd used to stand. So there is great support for our plan to introduce rail seating to enable fans to stand safely," said Groves. The seats will be installed by AFL Architects, who have confirmed that standing fans will not obscure the views of anybody else. AFL's John Roberts said: "(We are) now creating future-proofed designs, allowing our clients the option to add rail seating at a later stage." Roberts added that his firm has just done this for Brentford, as have the architects of Spurs' new ground and Chelsea's rebuilt Stamford Bridge. The English Football League has backed clubs in Leagues One and Two that wish to install rail seats and its chief executive Shaun Harvey wished Shrewsbury "every success" with its fundraising. "Ultimately, we want all EFL clubs to be able to offer fans the matchday experience they want, be it sat down or stood up, in stadia that are modern and safe," added Harvey. Any surplus funds from the Shrewsbury initiative will go into a Football Supporters Federation pot to fund safe-standing projects at other clubs.